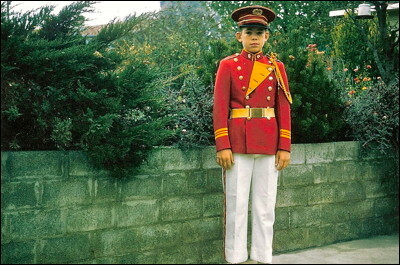 I'm in my Hedrick Junior High School band uniform in October, 1965. This was taken on the patio in our backyard in Medford, Oregon. I played trumpet and trombone in band, and piano at home.